During an interview with CNN Thursday, Ben Carson suggested one of the anchors might have a criminal background while trying to defend Donald Trump's embattled campaign manager. "You've probably been charged with something too, maybe with a misdemeanor or something. 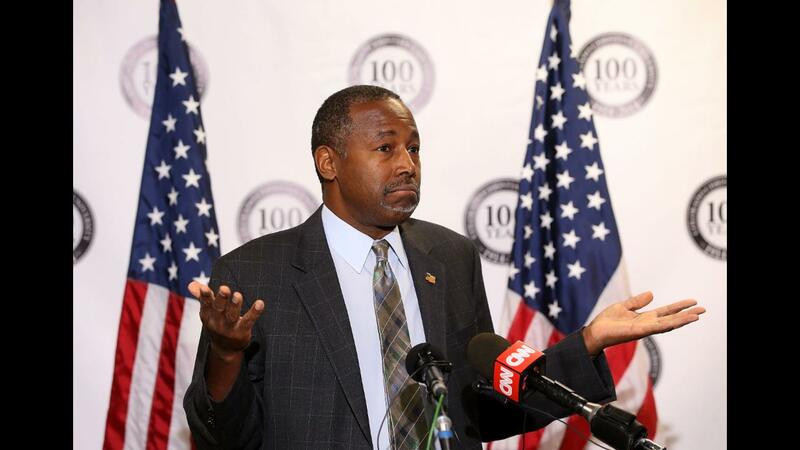 It doesn't mean that you're an evil, horrible person," Carson told CNN anchor John Berman. "I actually haven't, as far as I know," Berman replied. CNN anchors John Berman and Kate Bolduan had asked Carson if he believed Trump's campaign manager, Corey Lewandowski, should still be running the show. As you probably already know, Lewandowski was charged with misdemeanor battery on March 29 for grabbing a reporter. Berman noted a lot of people think that incident is a reason to "demonize" him. And that's when Carson suggested perhaps Berman had legal problems of his own. Berman posted a clip of the odd comment on his Twitter page after the interview along with the caption, "Then there was the time Ben Carson suggested I committed a crime...on TV." For his part, Carson has yet to comment on his remarks. He has been endorsing Trump's campaign since early March after he withdrew from the GOP presidential race.